Fresh Grounded Faith Memphis was an inspiring way to finish up the 2018 event season! Personally, I don’t think it could have ended any better. 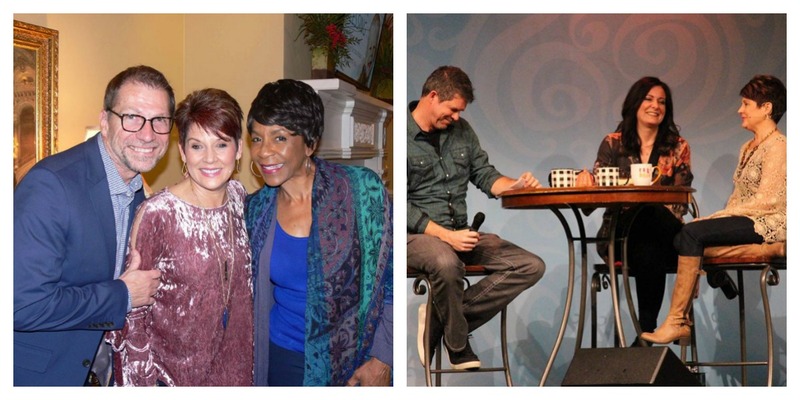 This conference epitomized our model of unity in the Body of Christ. Thank you to Mary Fry for the beautiful photos. To see the entire Facebook photo album, click here. For those of you who joined the photo booth fun, you can view your photos here. 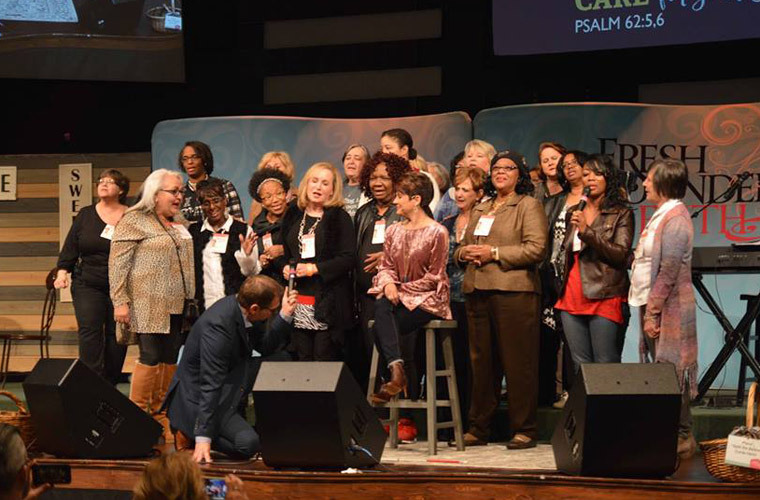 Ellen Olford, the Memphis Local Conference Coordinator, has such a heart for women of all ages, all backgrounds, all colors, all nationalities … and it showed! This event was a beautiful tapestry of color! At the “Meet and Greet” on Friday, before the conference began, they sang the song so that I could hear it. It was so moving that I asked them to pop up on stage Friday night and sing it to the whole crowd. It brought tears to my eyes both times they sang it. And, their beautiful display of love and unity was humbling and inspiring and brought down the house! You have got to see it! Grab your tissue and put on your waterproof mascara before you watch it! I have never felt such love and acceptance between my sisters of color. The world paints a different picture than what I experienced and I just couldn’t get enough. It was such beautiful proof that the ground at the foot of the Cross is perfectly level and we are all one in Him. Thank You, Jesus. Well, quite frankly, those girls stole the show! But, there were a few other things happening on the platform this weekend. I taught out of Isaiah 6 and was honored to open God’s Word. Lysa TerKeurst shared about Joseph’s journey from a pit to a palace, while Michael O’Brien sang over us God’s love and led us in worship. But, I’m not done yet! Karen Abercrombie did a “drop the mic” monologue about Rahab. A big thank you to all of the volunteers who took such great care of us! And to Central Church and the co-host churches who made us feel so loved and welcomed, please accept a huge, grateful thank you from all of us to all of you! You all were a blessing! We are celebrating the 2 ladies who made decisions for Christ, the 17 women who chose to renew their commitment to Christ, and the 55 children sponsored through Compassion International. God is good! It was one amazing weekend! Girl, may we all live like those women in Memphis who love each other and keep unity their priority. Were you with us in Memphis? Please share your favorite part of the weekend in the comments below.